Many New Jersey divorces contain considerations for spousal support, otherwise known as alimony. 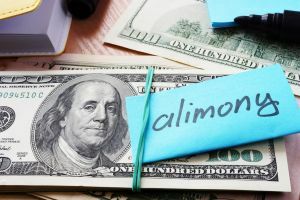 While alimony is generally meant to provide financial support for former spouses, there are actually five (5) different variations of alimony agreements available. These variations differ greatly and are dependent on the nature of your circumstances before, during, and after divorce. The alimony agreement legal team of The Bronzino Law Firm has extensive experience helping our divorce clients execute reasonable alimony agreements. Our divorce attorney understands that alimony agreements can be a positive for both parties when the terms are fair and tenable to both parties. Our small firm size allows us to provide individualized legal service to our Ocean County clients from towns including Brick, Sea Girt, Point Pleasant, Spring Lack, Neptune, Manasquan, Toms River, and all of Eastern New Jersey. 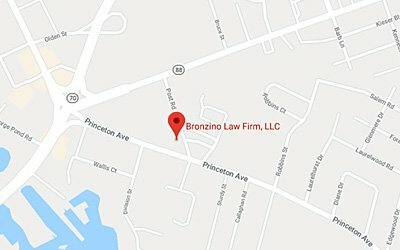 Call our office today for a free and confidential consultation with our alimony agreement attorney to discuss the specifics of your alimony dispute and to learn more about how we can best serve your individual needs and concerns. Before 2014, open duration alimony was referred to as “permanent alimony”. This name was changed as part of the New Jersey Alimony Reform to more more accurately represent the nature of these agreements. While open duration alimony agreements do not have a set termination date, they are far from permanent. Changed circumstances to either party such as illness, retirement, loss of employment, and more can lead to a termination of an open duration alimony agreement. In order to qualify for open duration alimony, marriages must have lasted a minimum of 20 years. The most common form of alimony agreement in New Jersey entails a limited duration alimony arrangement. The termination of limited duration alimony agreements must not be longer than the duration of the marriage. In other words, a marriage lasting eight (8) years may have a limited duration agreement of eight (8) or fewer years. There are exceptions to this rule, but they are uncommon. Some former spouses within limited duration alimony agreements may agree to “pay off” the remainder of their alimony balance in order to end payments. This is permissible as long as neither party objects to this early buyout. In certain cases our Toms River alimony attorney will recommend reimbursement alimony. This type of agreement is used primarily in situations where one spouse has made significant sacrifices to his or her education and/or career. Reimbursement alimony is a way for family courts to fairly valuate and compensate the sacrifices by a spouse during a marriage. CPAs or other financial experts are frequently brought in to fairly calculate the value of these marital sacrifices. Rehabilitative alimony is common for shorter marriages which last six (6) or fewer years. Funds are generally to be used for college, trade school, career training, certification, etc. This form of alimony is viewed as a way for the recipient to prepare for their life as a financially independent individual. More to the point, this type of alimony is meant to improve the employability of the payee so they can effectively care for themselves moving forward. The divorce process in New Jersey may last months or even years. 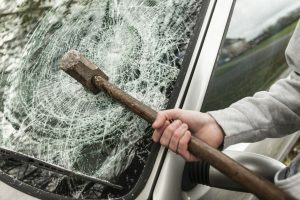 For many couples, this creates a situation where finances and other practical matters such as child custody simply cannot wait to reach a divorce settlement agreement. In these cases, spouses may choose to enter into a temporary alimony agreement. This type of agreement is also referred to as pendente lite, or “pending litigation”. Temporary alimony considerations may begin as soon as either party files for divorce and will terminate when a divorce settlement is reached or a different alimony agreement is reached. Temporary alimony agreement are frequently reached out of court, but formal hearings may also be requested by either spouse during the divorce process. Temporary alimony calculations use many of the same factors which are used for other types of alimony such as open duration or limited duration. 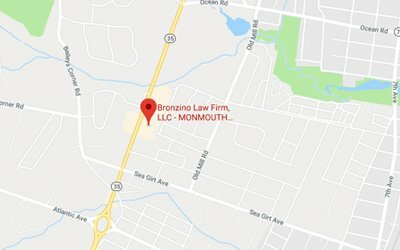 Alimony agreement attorney Peter J. Bronzino takes pride in serving clients from local Monmouth County and Ocean County towns such as Brick, Toms River, Manasquan, Sea Girt, Neptune, Point Pleasant, and across Eastern New Jersey. Our firm understands that no two divorces are alike, nor are any two clients. We take the time to get to know our clients so that we can deliver individualized legal solutions which address your needs and concerns. Our smaller firm size allows our divorce and family law attorney to provide top quality, highly dynamic legal solutions for reasonable rates. To learn more about New Jersey alimony regulations and how they may impact your divorce, please contact us online or through our Brick, NJ office by calling (732) 812-3102.